Could Ubi make it to the 3DS? 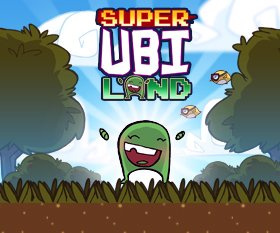 Super Ubi Land is currently being developed for the Wii U eShop and other downloadable platforms by Notion Games. The studio has teamed up with Maestro Interactive Games in order to bring the game out, and hopes to make good use of its official recognition as a Wii U developer by releasing more titles for Nintendo's new home console. I would love to have Super Ubi Land on handheld devices like the Nintendo 3DS and Playstation Vita. I don’t have plans to bring them over because I haven’t found anyone to help port to those consoles. I really would like to find a programmer in the Austin, Texas area to help Notion Games and be a part of the team so we could bring our games to as many platforms as possible. Programmers don't seem to be too rare in Austin, Texas, what with a certain studio being based there. Perhaps Notion Games will find some more little helpers to create a 3DS adaptation of Super Ubi Land. Notion Games has had decent success in the mobile market with its 2D platforming games, so its Ubi games would probably suit the 3DS quite well. Would you consider buying Super Ubi Land if it was released for the 3DS eShop? Let us know in the comments section below. Super Ubi Land would be a perfect fit on the handhelds. Must want! There was a gaming event in Austin not too long ago, and I got to play this on PC (with a controller). It was a fun game. I hope it makes it to the 3DS eShop! It'd be awesome to know that a game was made near where I live. Good indie platformers, bring 'em. Nintendo should really help them out with this. I never heard of this game but I'll still buy to play the GAME! @Retro_on_theGo not really, look closely on the quote he said. @NoPLo which demo have you tried? I haven't released anything playable since the small tech demo i uploaded to the scirra arcade. At that time Super Ubi Land was extremely basic and wasn't even going to be a full game. So I can definitely agree with you if that's the only impression that you were given. Since then I have made major updates and the game feels different. I will be releasing an actual demo soon for people to try out and give further feedback. Thanks everyone for your kind comments and check out the Super Ubi Land kickstarter. There is a new trailer and a lot of screenshots there.